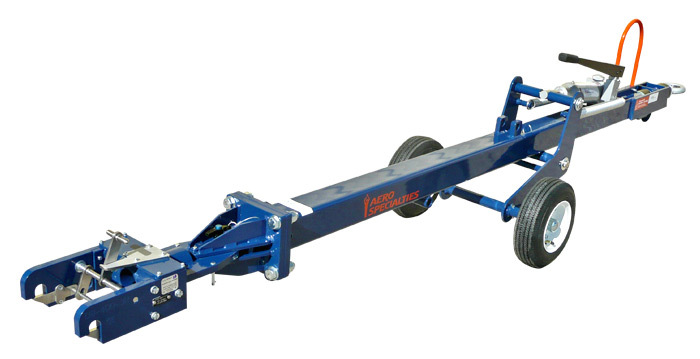 Our steel Rx-D8-300 towbar (220,000 lbs. [99,790 kg.] capacity) is designed to perform push and pull operations on Bombardier (DeHavilland) Dash 8-100/200/300, Q200/Q300 regional airline aircraft. Compares to Tronair multi-head towbar and DASH 8 100-300 towbar head, part numbers 01-1290-0100 and 01-0590-0000. Ships mostly assembled. 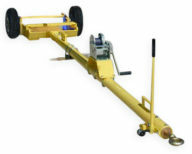 Towbar head must installed on site with (4) 3/4" bolts.